The government’s announcement of the new post-graduate teaching apprenticeship, which will enable graduates to be employed as unqualified teachers while training, poses many questions ahead of its launch in September 2018. So, what do school business managers need to know? Firstly, let’s look at the bigger picture. As of April 2017, employers with an annual pay bill exceeding £3m are required to pay 0.5% of their annual pay bill into the apprenticeship levy. For every £1 an employer pays into the levy, the government adds a top-up fee of 10p. The government target is for 2.3% of employees to be apprentices by 2020 – all businesses should, therefore, be working on apprenticeship strategies to meet this target. In education, as maintained schools come under local authority pay bills, they are all affected by the apprenticeship levy. Most multi-academy trusts are also affected. Apprenticeship levy funding can be drawn back down to pay for training costs associated with employing an apprentice. Schools which are not eligible for the apprenticeship levy will receive government funding to cover 90% of the training costs. There are a number of existing apprenticeship options which schools might explore, including teaching assistants, accounting, business administration, IT support and cookery. In most cases, these types of apprentices can be paid at the apprentice salary rate of £3.50 per hour (ages up to 19 or over 19 and in the first year of an apprenticeship) and £7.50 per hour for those over 19-years-old and in the second or later years of an apprenticeship. The levy can only be used to pay the cost of training, which varies according to the funding band set by the Institute for Apprenticeships, but not to cover salary costs. You might also like... Your team’s wellbeing: what can you do to improve wellness? We now have the teaching apprenticeship to consider too – and there is much to think about. The cost of training (for example, the amount that will need to be drawn down from the levy) will be £9,000 over a minimum of four terms. Unlike other apprenticeships, teacher apprentices must be employed on the unqualified pay scale (currently £15,817 outside London) for the first three terms and on the main pay scale in term four. Teacher apprentices will be required to complete ‘off the job training’ for at least 20% of the time. They will need to attend central training and, in order to meet the requirements of qualified teacher status (QTS), spend a period of time (usually six weeks) in another school. They must be paid on a full-time basis, to include this time spent away from their employing school. For certain subjects, there is an additional salary grant available from the government. Schools wishing to employ an apprentice teacher should contact their local Initial Teacher Training provider, either a School-Centred Initial Teacher Training (SCITT) provider or Higher Education Institution, to explore their options further. Levy funding is an area that we at NASBTT are well versed in, understand how complicated it can be, especially during this initial first year, and always happy to advise on. This article featured in the December/January issue of Education Executive. 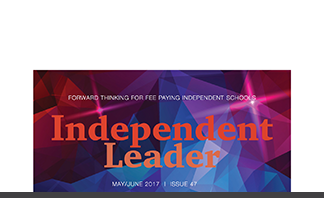 Subscribe now to keep up-to-date with the latest in school business management and leadership.